Choosing a university can be a daunting experience. There is so much to think about and I remember feeling so nervous because it was one of the first major decisions I had to make. You have to think about the degree you want to study, the accommodation available, societies, and of course making sure it is the right place for you as your chosen home away from home! My first decision was whether I wanted a campus university or city university. A campus university is one where everything is on one site. Nottingham has 4 campuses in the Nottinghamshire area. However the biggest campus is University Park which is where most of the schools are. I wanted to go to a campus university because I liked the idea of having everything close by. After deciding on a campus university, the next decision for me was how far away from home I wanted to be. I knew I didn’t want to go too far from home and so 3 hours was the furthest I was willing to go. It is important to choose the right course as that will massively impact your time at university. It is a good idea to be aware of assessment methods for the duration of your course so you can decide if they suit you your learning style. You can find this information on the prospectus via the university website. Otherwise you can always ask current students at open days or call and ask. In addition, checking the league tables for your course at your chosen university is important too and enables you to make comparisons between other universities. One of the major selling points of Nottingham were the numerous opportunities to study abroad. Nottingham has 2 campuses abroad. There is one in Semenyih, Malaysia and one in Ningbo, China. Studying abroad for a year was something I planned and hoped to do prior to coming to Nottingham and it is definitely something I would recommend. I would encourage you to do some research into study abroad opportunities at your university, as I think it provides you with such a great experience! 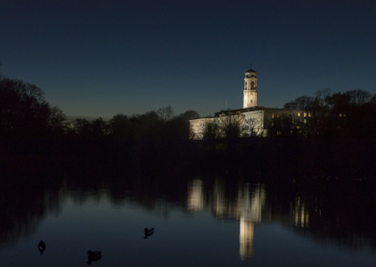 The University of Nottingham has over 200 societies so there is bound to be a society that is right for you. Societies are good as they are a social opportunity to make an entirely different group of friends, especially as most societies have a meeting at least once a week. Joining a society can sharpen old skills and help develop new ones. It’s important your university has a diverse range of societies as that gives you more options, which is always best. Coming to see the university was what made all the difference for me. When I visited Nottingham for the first time, I really loved the campus and I could picture myself here. I think the most important thing is to go to open days. Most open days are during the summer term. Nottingham’s open day is in June this year. When you come to the open days I would suggest talking to the current students as no one can give you better insight into life as a student than they can. I hope my advice helps you find your dream university! This blog is for our student ambassadors to talk about their experiences and give advice to people considering studying Pharmacy at the University of Nottingham. If you have any questions for our ambassadors, please comment on a post and we will do what we can to answer.